Over the years, I have found myself relying pretty heavily on store bought Thai curry paste in my everyday cooking. So which one do I prefer more? Red or green curry paste? I usually bought the green one but I do use the both of them interchangeably. In my mind, the only distinction is the red or green chillies in the curry paste and therefore it does not really matter which one you use. The following is a collection of recipes which I have shared on my blog incorporating Thai curry paste. I hope that this post will inspire you to be creative with the uses of Thai curry paste. 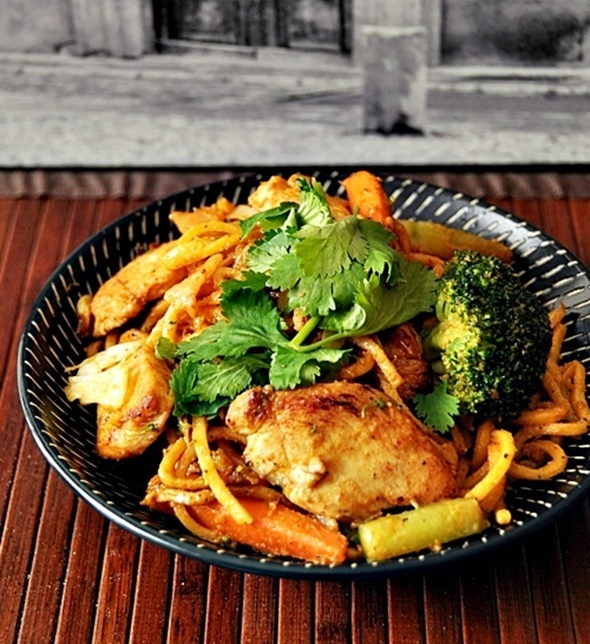 Chicken and Vegetable Satay Noodles – Mix the red curry paste with peanut butter and you’ve got yourself a cheat satay sauce! 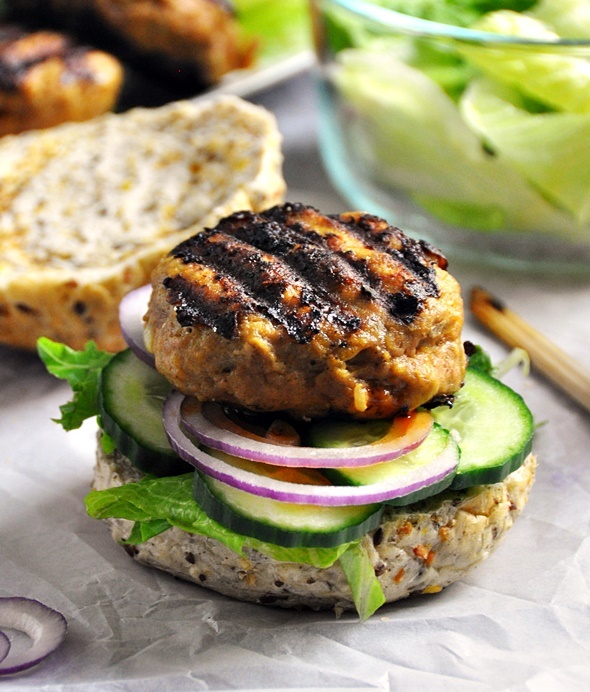 Satay Turkey Burgers – If you like the “cheat satay” idea, I have a feeling you will also enjoy this family friendly and healthy burger recipe. 3 Ingredients Pumpkin Soup – I love using Thai curry paste in soups because it is a quick way to add flavour minus the work. Case in point the soup which only requires only three ingredients and you don’t need any stock for this recipe! Pumpkin soup can’t get easier than this one! 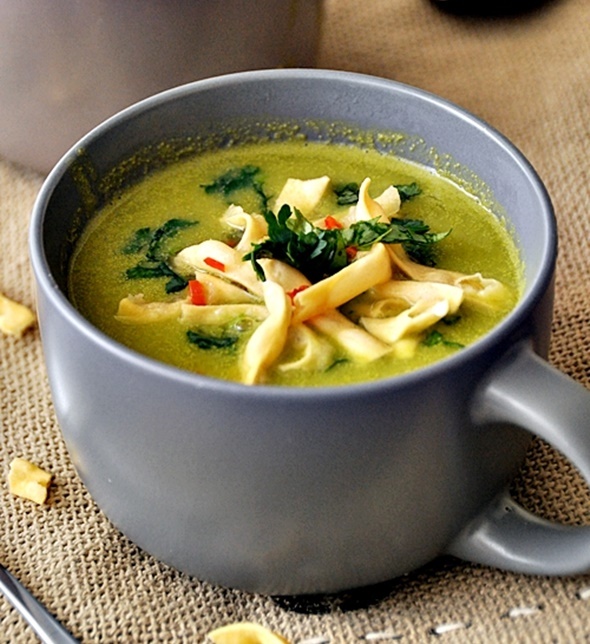 Thai Style Pea & Apply Soup – In the absence of ham and bacon, it is still possible to make green pea soup exciting! The tartness from the green apple and the natural sweetness from green peas work harmoniously with the Thai curry paste. Topped with crunchy noodles for texture, this makes a wonderful winter warmer. 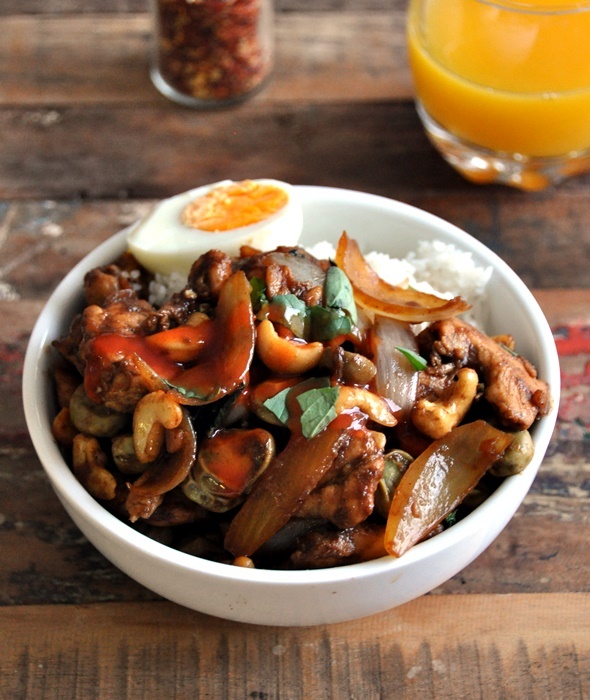 Thai Style Chicken, Broad Beans, Cashew & Basil Stir Fry – my take on my favourite Thai restaurant takeaway dish by adding frozen broad beans (to create a balanced meal) and a final touch of Sriracha drizzles to tantalise your tastebuds. 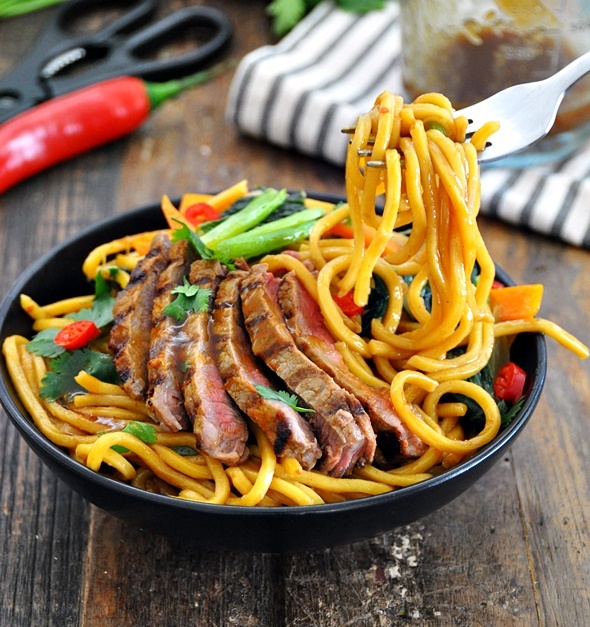 Grilled Thai Red Curry Steak & Noodles Stir Fry – The curry paste can also be used as a marinate for steak, as well as the flavour base for the noodle stir fry. 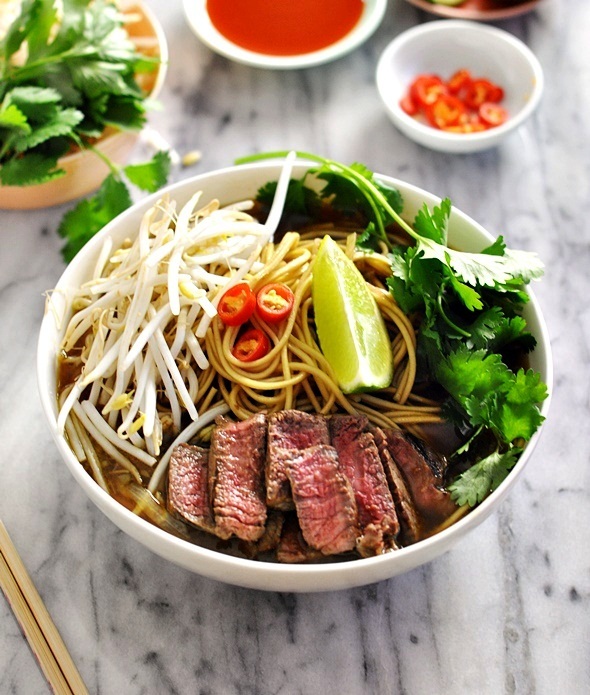 Asian Beef & Noodle Soup with 5-Ingredients Beef Broth – Speaking of noodles, have you tried adding Thai curry paste as the flavour base for broth? If you are craving for pho, this noodle soup can be a speedy fix for you. Easy Thai Fried Rice – Growing up in Malaysia, I am used to having fried rice with strong flavours. My favourite is sambal fried rice and Yang Zhou fried rice infused with the “breath of wok“. As the “breath of wok” is hard to achieve in home cooking and I don’t usually stock sambal at home, the next best thing to give my leftover rice some amazing “makeover” is the tasty addition of curry paste! 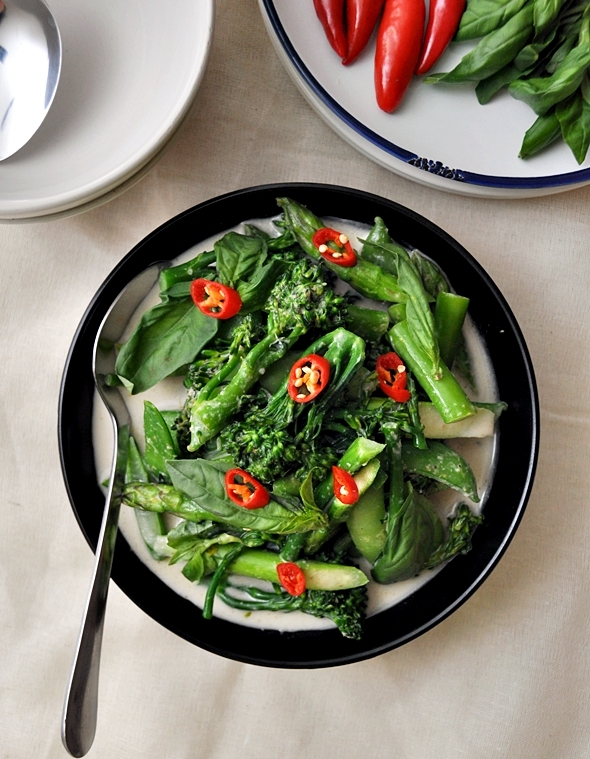 Thai Green Curry with Sugar Snaps, Asparagus & Broccolini – Lightly “braised” these crunchy greens in the Thai curry paste flavoured coconut broth. There’s no room for bland vegetable dish here! Is Thai curry paste a staple in your cooking too? Tell me in the comment box below what’s your favourite way of using it. I used to buy the Trident brand and somehow I don’t see them around any more. Currently I am using the Five Taste brand. When I buy Thai curry paste, I will get the one without fish sauce listed in the ingredients list as my close friends are vegetarians and I do cook for them from time to time. love the Easy Thai Fried Rice!!! I promise i could eat fried rice everyday if you’d let me! Same here. 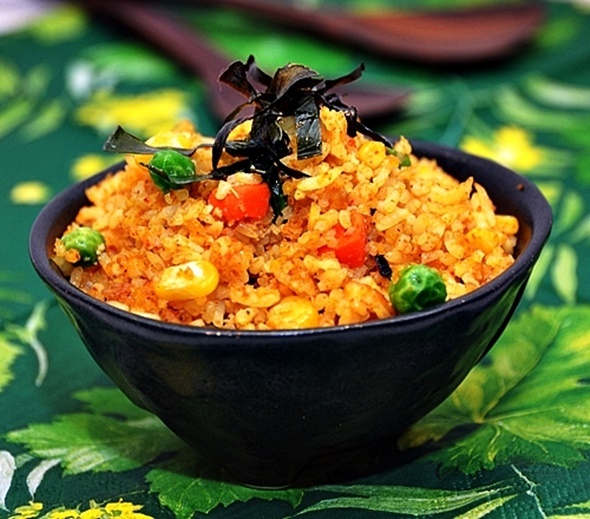 Fried rice is such an easy dish to make and flavourful! I am hungry at the thought of it now haha! 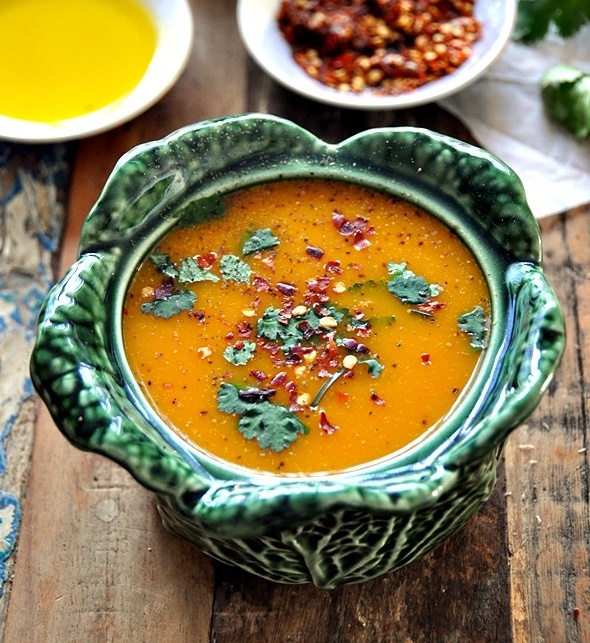 Whole Foods has a great recipe on line, for butternut squash soup with a Thai version. That’s the way I’ve always used Thai curry paste but I’m ready for something new. The pea soup sounds really interesting and easy. Glad I found your site!